Yesterday, I met up with some friends who know more than most about the cyber crime world. Over the past few years, SearchForecast has recommended Security-Art to our clients. Many businesses are feeling a bit left out when it comes to the security of their websites, especially after all the major breaches lately that affected companies such as RSA, Lockheed Martin, ADP, Sony, Nintendo, Sega and even the American CIA. Nevertheless, as businesses know what kind of impact a breach on their electronic infrastructure can have, they often fail to find the appropriate solution to even tell them at what maturity level they are security-wise. Most of the market is filled with expensive offerings of large scales security assessments, when in a lot of cases all that is really sought after is a quick-and-dirty “how do I fare up” review. Such a review should not cost an arm and a leg, and a few clients here have already acquired such services for as low as $5,000 and managed to identify, prioritize and fix issues that were critical to their security posture, all in less than a week. SearchForecast often asks Security-Art ( a unique provider of high-end security services) to undertake a security audit and provide recommendations. DDOS attacks, SQL injections, Flooding, Data Input Form security checks are all part of their services. Itay Sagi can be contacted at itay.sagi@security-art.com and would be happy to provide additional details on how their security engagements area carried out. It was an interesting day as 12 of San Francisco’s old brigade of expats assembled at the inaugural “The Aussie Club” lunch arranged by the Australian American Chamber of Commerce. 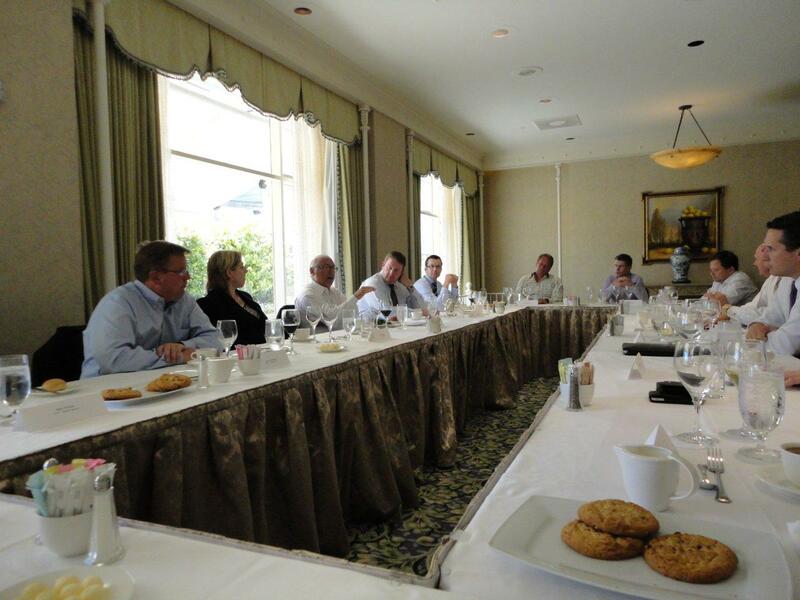 Held in the Fountain Room at The Fairmont Hotel on Nob Hill, we discussed the top issues impacting Australia. Hosted by The Honourable Nigel Warren – Consul General and Senior Trade Commissioner for Australia, the eloquent and very experienced Mr. Jack Ritch, Chairman of Asia Pacific Airport Corporation	(the owner of Melbourne Airport) gave a comprehensive and insightful summary of the Australian political and business landscape. Top issues were the lack of political leadership and for me, the issues surrounding the long term immigration and detention of what the Americans call “illegal aliens”. Particularly, I am concerned about how our international friends and business partners see our mistreatment of people who are refugees. Despite being in dialogue with our neighbours in the Asia Pacific area, there is no clear plan on how to manage this in the longer term. Politicians need to realize this is of critical importance. Mining tax, Carbon tax and other internal political manifestations are domestic affairs that will be debated and finalized. The big issue is the modernity of the Australian brand in the international community and how to ensure that it is advanced with the fast pace of economic growth our wonderful country is achieving.